Chandigarh 31st July:- India has an abundant talent pool that remains untapped. We have often seen people complain about not having job satisfaction or not being able to do what they always wanted to do in their lives. There are a large number of learners out there with passion for creative domains but were either forced to follow the conventional course of study or did not have the means to pursue their education in the creative path. Recognizing the needs of these learners, Pearl Academy, India's leading institution in design, fashion, business and media has launched Pearl Edge a new initiative, with weekend courses spanning over a period of 11 months. The courses on offer under Pearl Edge are listed as Fashion Design (Women's Wear), Fashion Styling, Image Makeover, Fashion Modelling & Choreography, Wedding Planning, Take Your Business Online, Fashion Photography, Contemporary Photography, Fashion & Lifestyle Blogging, Mobile Journalism and Styling for Home. These courses are designed to offer wide range of opportunities to learners. Besides being able to pursue their passion, learners will get to develop entrepreneurial skills, get access to Pearl Academy's industry and alumni networking events, fashion and design industry events, state of the art-labs and library and an opportunity to attend master classes by industry experts. Pearl has always believed in providing hands-on learning experience to its students. Ansab Khan, fashion photographer and Pearl alumni said that Pearl Academy, a dynamic institute in its own, has played an integral part in his life and has helped him turn from an amateur photographer to a full time professional photographer. The way the teachers guide the students is very interesting. All it takes is dedication from a learner in their area of interest. He thanks his mentors Meha Jayaswal and Rohit Dhingra for guiding him in the right direction. Chandigarh 31st July:- Mahindra & Mahindra Ltd. (M&M), a part of the US $20.7 billion Mahindra Group, today named its eagerly awaited global model, codenamed U321, as Marazzo. Derived from Basque, a sub-language of Spanish, the word 'Marazzo' means shark and is linked to the vehicle's shark-inspired design. The Mahindra Design Studio and Italian design house Pininfarina have collaborated closely during the design development process -- as a result the Marazzo reflects a design language that is an integral part of Mahindra's bold, new generation of vehicles. Its shark-inspired design is evident in the streamlined and aerodynamic shape,in the overall silhouette and in the front grille inserts which resemble shark-like teeth and adds to the vehicle's aggressive stance. The design cues further flow into the tail lamps that are inspired by the tail of a shark. Marazzo is a globally developed product engineered through a collaboration between Mahindra North America Technical Centre (MNATC) and Mahindra Research Valley (MRV) in Chennai. The pedigree and global product development capabilities of the MNATC team of engineers and the young team of experts at MRV havebeen instrumental in bringing a new level of refinement and engineering excellence to this model. Marazzo comes with a patented architecture, for a unique balance of smooth ride, agile handling, space and quiet cabin. 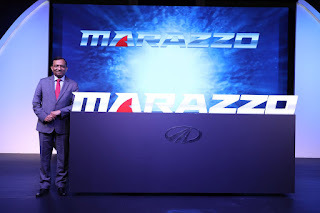 Speaking at the name reveal, Dr. Pawan Goenka, Managing Director, M&M Ltd. Said that the shark-inspired Marazzo symbolizes the next generation of aspirational Mahindra vehicles. A collaborative effort of Pininfarina, Mahindra Design Studio, MNATC and MRV, Marazzo is born of a vision to design a global vehicle with quality and refinement keeping in mind the aspirations of our customers. 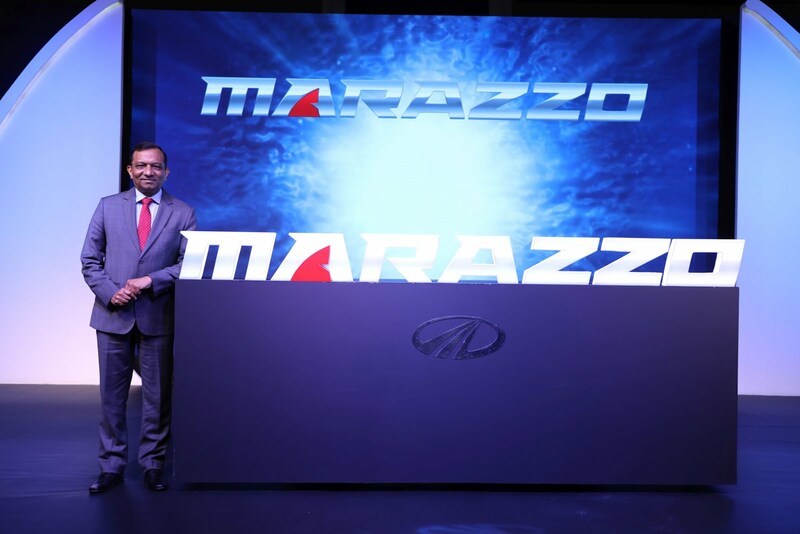 Rajan Wadhera, President Automotive Sector, M&M Ltd. Said that the intense process of development and refinement of the Marazzo is comparable to any global vehicle and incorporates a number of innovations. This has delivered better space, smoother ride with a quieter cabin, best-in-class cooling, excellent safety and a tough body construction in the Marazzo. Infact the Marazzo has the largest footprint (wheelbase x front track) of any Mahindra vehicle. He is confident that it will set a new benchmark and become a game-changer in its segment. Chandigarh 30th July:- Onset of Monsson is defenitely a refreshing respite from scorching summer heat and sunburn. But Untimely and intermittent rain topped with humid weather also takes toll on good health of your skin, smudges stunning makeup you did and invites vivid skin and hair issues. Monsoon is certainly refreshing weather after scorching summer heat but the season also brings plethora of skin and hair woes to give you sleepless nights. To keep these problems at bay an innovative monsoon beauty event was organised by ace beauty expert Mallika Gambhir, Persona beauty and makeovers. Workshop aimed at providing solutions from Monsoon ridden beauty and skin problems. Workshop proved to be informative for many professional women, entrepreneurs and housewives who were gathered from the city and were inquisitive to get answers for skin and hair troubles in rainy weather, they were provided with solutions to fend off monsoon skin and hair problems.Womenfolks tried Kasmara facials and aromatherapy skin rejuvenation treats that transformed their skin and unveiled healthy, radiant, beautiful skin . The aroma of pure essential oils elated and refreshed their fagged nerves, but also nourished the skin & stimulated the senses. An exclusive session was also conducted on picking the right beauty and hair product according to texture and type of skin and according to condition of scalp and texture of hair. Workshop intended to render right treatment for monsoon. Innovative skin analysis session along with Diet counselling and natural remedies demonstration were conducted. 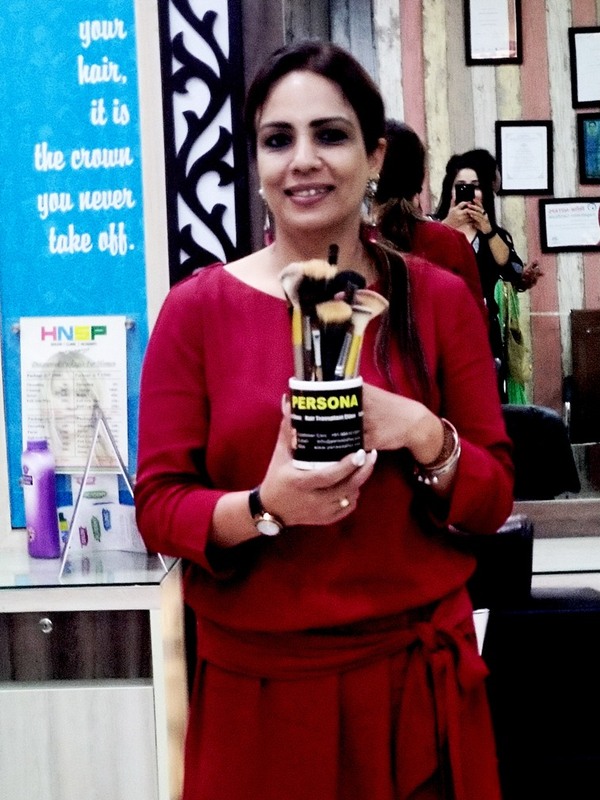 Joining the workshop and adding glamour quotient to it was Mrs Asia pacific exquisite international, Shivani Sharma. Mallika Gambhir explained that the monsoon in India; not only brings out the beautiful colors but also the damp and humid weather which takes arduous toll on your skin, no matter what your skin type is Pollution, dirt, dust, grime and the harmful UV rays of the sun are the crucial reasons why your skin is prone to damage.The outcome is disastrous as the skin tends to accumulate oil & sweat resulting in hideous pimples, eruptions, rough patches, skin infections and dull looking skin. 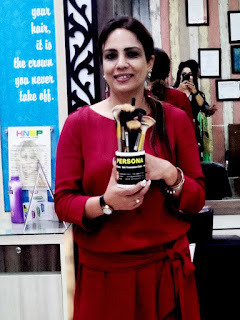 We through this invigorating workshop have tried to bust various myths pertaining to monsoon skin care and tried to help women deal with these problems. Chandigarh 30th July:- Chief Minister of Punjab, Captain Amarinder Singh, today launched World's Largest Anti Drug Campaign in a function organized by Joint Action Committee (JAC) today at Chandigarh. Brahm Mohindra, Health & Medical Education Minister; S. Sadhu Singh Dharamsot, Welfare Minister for SCs and BCs ; Rana Sodhi, Sports and Youth Affairs Minister; Asha Kumari, Congress Incharge etc were the Guests of Honour on the occasion. Ashwani Sekhari, Chairman, JAC presided over the function while Dr. Anshu Kataria, Spokesman JAC and S. Jagjit Singh, President, B.Ed Federation were the moderators of the event. Captain Amarinder Singh appreciated the Joint initiative of JAC towards this campaign. Captain said that we are determined to eradicate the evil of drugs from the roots of Punjab and to meet this challenge the millions of youth of Punjab is the supreme power if can be used in right direction. Captain Amarinder Singh further said that with this venture of JAC, this campaign would reach to every youth of Punjab under the leadership of Ashwani Sekhari. He also handed over the Oath letters to all the Presidents of 13 Associations and appealed to make their campuses Drug Free. Rana Sodhi while speaking said that sports Dept of Punjab is also working in this direction. Soon policies would be made for sportsmen, coaches also against Drug use. He assured full support to JAC for this campaign. He appealed the Chairmen to involve youth of Colleges into the sports activities so that their minds can be ignited with positive thoughts. Ashwani Sekhri said that after the launching the campaign would be taken to each Tehsils/ Mandals/Blocks/Taluqs, Municipalities, Nagar Panchayats, Village Panchayats etc through 5 lakh Youth of Punjab. Spokesman JAC, Dr. Anshu Kataria said that in next 2 months this campaign would be taken to 5 lakh youth of 1600 Unaided Colleges situated in 22 Districts of Punjab wherein students would take oath against the drugs. JAC would attempt to make new World record to fight against the drugs. All the Chairmen and JAC members took oath to make their campuses drugs free and educate their students about the ill effects and consequences of drugs in their Campuses.